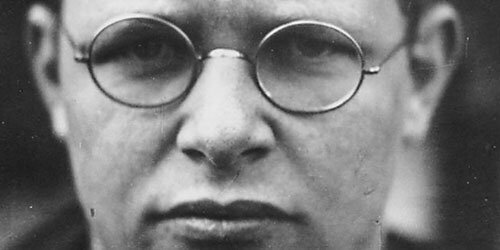 Dietrich Bonhoeffer was a German Lutheran pastor and theologian. He was also a participant in the German Resistance movement against Nazism, a founding member of the Confessing Church. His involvement in plans by members of the Abwehr (the German Military Intelligence Office) to assassinate Adolf Hitler resulted in his arrest in April 1943 and his subsequent execution by hanging in April 1945, shortly before the war’s end. “Great question/comment. Jesus made it clear, with the salt & light analogy that we will be distinctive and visible. We need to learn to accentuate and use that distinctiveness, with talent and forethought. All available effort should be used. The issue of sin in the church is interesting. To have water outside a boat is a good thing, but to have water in the boat is decidedly worse. We are to preserve our distinctiveness, without diminishing our witness. It’s like we are a flock of lambs living in a pigpen. By their very nature the are different. One has a sheep nature, the other a pig’s. There will be at times confusion. But the sheep don’t belong.